Half term. Family time but also a little bit of time for sewing! Yes, I need to make stock for the Etsy shop and upload it – and for the bricks & mortar shop (Norwich Gift Emporium). But I also wanted to indulge in a bit of me-sewing. I have a few garment patterns now (for “few”, read “far too many but still probably not enough”!) and I have been thinking about what to make next for a while. So I decided on some selfish sewing to boost my me-made wardrobe. So I got out my collection and had a rummage through. Should I go indie or big-name pattern house? I initially decided to make a quick and simple “Sewing time: 1 hour” A-line skirt (it’s NEVER 1 hour, believe me!) but to my dismay, the lovely piece of fabric I’d had in mind was too small, as the print only runs one way (will have to save it for something else!) So I put that away and instead got out the Dottie Angel frock pattern (Simplicity 1080) that I bought on impulse a few weeks ago. I have many Pinterest pins of this dress and thought it looked really cute and simple to make. I kinda like the quirky Dottie Angel look and thought I’d have a go. A quick, fun sewing project, thought I! I followed the pattern instructions to the letter but found it not really very pleasurable to make. At all. And because it only comes together at the last two seams, it was impossible to fit as I went along, unlike other dresses I’ve made. So at the end, I was faced with lots of adjustings because it was absolutely enormous and made me look like a sack of potatoes. Meh. It also calls for lots of bias binding to bind the pockets, neckline, armholes, etc. I’m not keen on bound armholes! Do you chaps ever have things that you make and once they’re made, you’re like “Oh. Underwhelming.”? Or have you had any disasters? I am still learning how to “do” clothes, rather than bags, and I suppose this was a good learning tool. 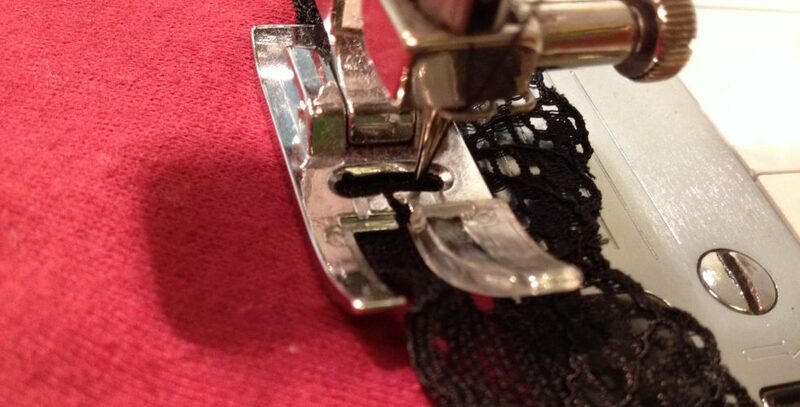 I do learn something new every time I make a new garment. Not sure whether to have another go in the smaller size, with fabrics that I love more, to try to get a better fit, or just to forget it! Or to make the shorter tunic version (which is almost what this turned out to be, as I chopped so much off the bottom!) Would love to know if anyone else has made this pattern, and how you got on with it. But your makes are always fab! Looks really nice Lu, will look forward to seeing it on you. Know what you mean about not knowing if you like it as felt like that about everything I ever made! !